Dr. Prius / Dr. 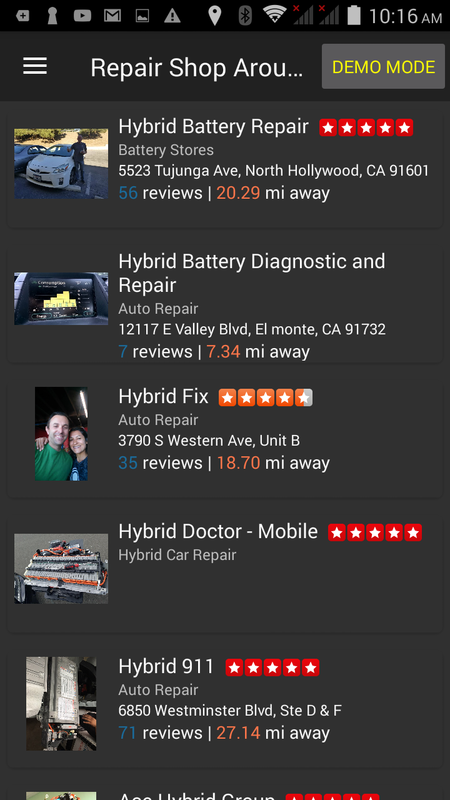 Hybrid is an app developed to help professional Toyota/Lexus hybrid repair shop or owners to examine the health of the High Voltage battery. 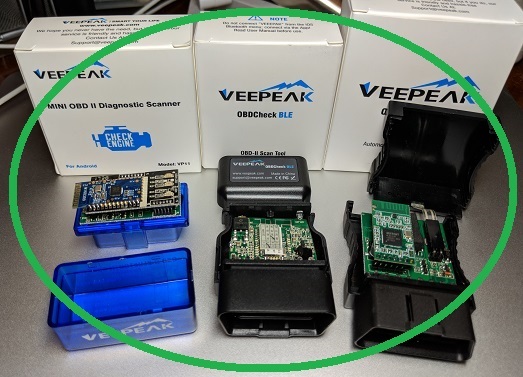 It turns your mobile device into a professional diagnostic equipment that usually cost thousand of dollars, it is being trusted by 31+ professional repair shops around the world. 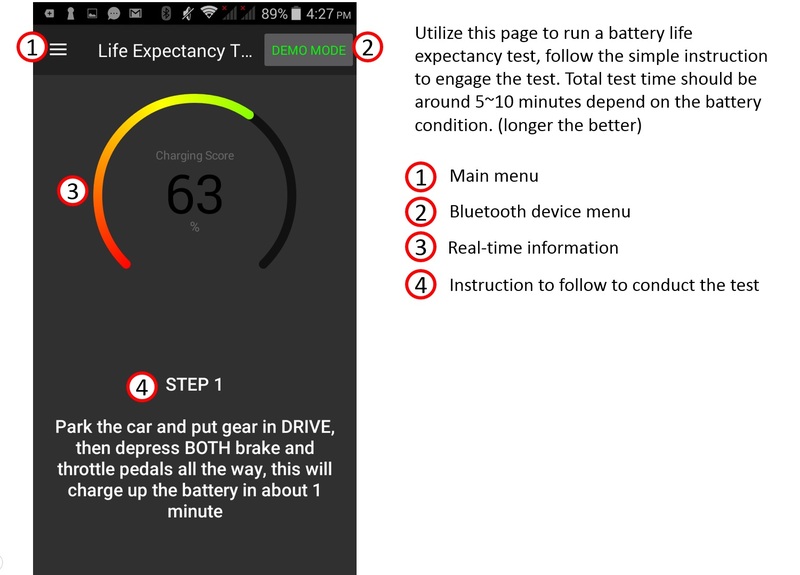 Dr. Prius perform test and provides access to all the relevant battery information to quickly help identify problems with a simple touch on the screen of a smartphone, do not fall victim to bad battery, test the battery and print the certificate to prove the health of the battery system. 1. Which bluetooth OBD2 adapter should I buy? Please refer to the What OBD2 to buy page. 2. Can Dr. Prius run on my phone/tablet? Dr. Prius is available on Android, iOS and Amazon platforms, however some cheap Android devices may have a low quality Bluetooth interface that cause random disconnection, it will generate frustration while a long test got interrupted. 2. Why is bluetooth OBD2 adapter better than WiFi OBD2 adapter? 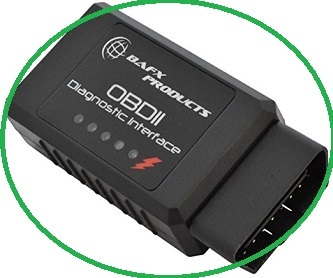 WiFi OBD2 adapter has to go through extra steps in order to be connected, also it often interrupt internet conneciton and yield very bad user experience. 3. Why is Dr. Prius trys to reconnect multiple times during test? That usually means you have too many Apps running in the background fighting resource with the bluetooth or WiFi connection. Or it could be other nearby Bluetooth device(s) trying to hijack/interference the wireless connection. 4. 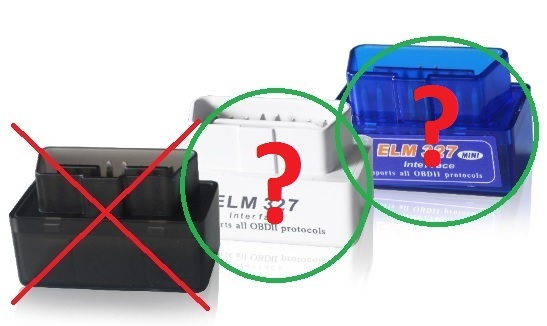 How do I know if my bluetooth OBD2 adapter would work? 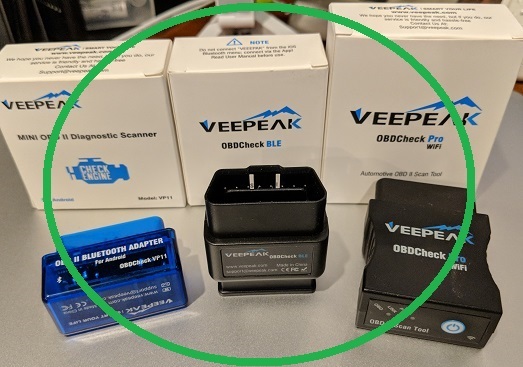 Simply connect the adapter to your car, pair it with your device and then run Dr. Prius, Dr. Prius will attempt to connect to your OBD2 3 times, if for some reasons fail, Dr. Prius will show you exactly what went wrong during the process. 5. Will performing the Life Expectancy test hurt my car? Don't worry, Prius is drive by wire, means even if you pedeal to the metal the car is not actually spinning the wheel and doing burn out, it simply charging up the battery using the energy from the engine. 6. The engine kick-in during the last step of life expectancy test, will that affect the result of the test? The latest code has taken "engine kick-in" into consideration therefore the result will most likely intact. 7. Where is the monitor page recording goes to? 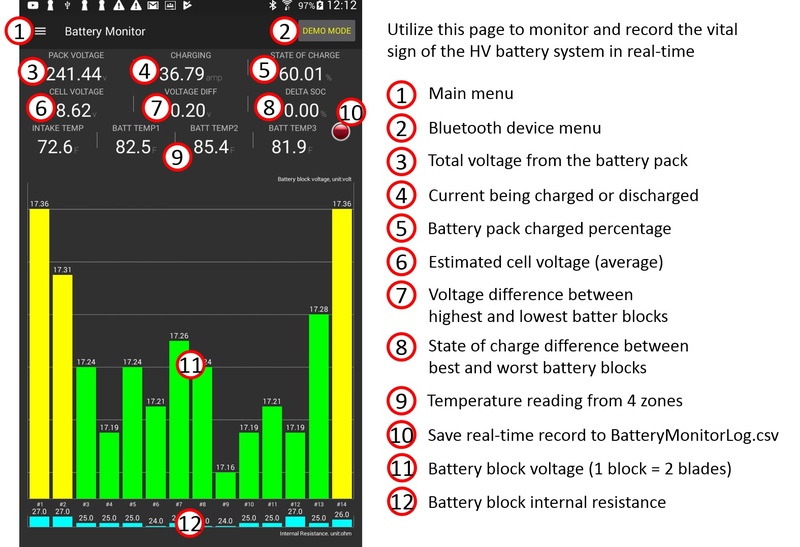 The monitor log is storing in the "BatteryTestHistory" folder at the root of your device, or simply search for BatteryMonitorLog.csv when connecting your device to a computer. 8. What is the green, orange and red signify on the voltage blocks means? Each battery blade has a safe voltage range from 6-9 volts, outside that range will cause tiny degradation to the battery chemistry, orange and red color is therefore used to indicate that voltage is outside the absolute safe zone. 9. 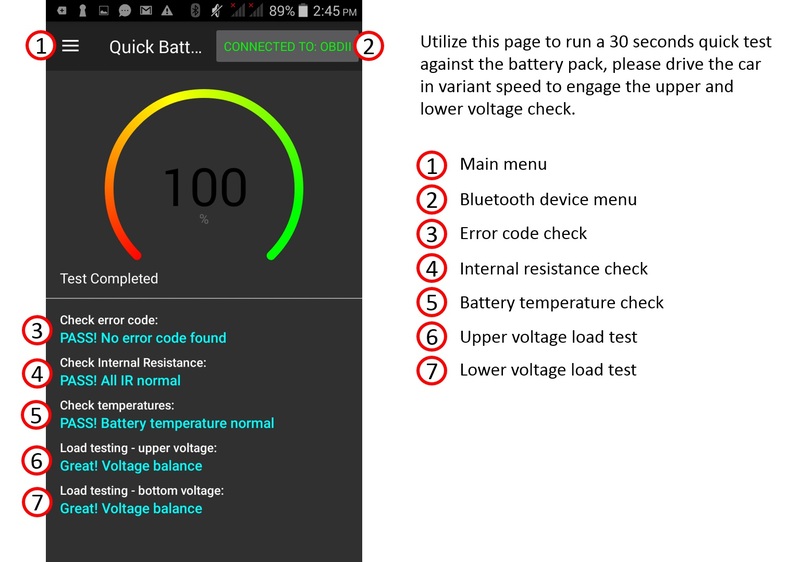 What is the "Override battery temperature" for in special feature page? If noise level is not a problem, you can keep the battery running cooler during those hot summer days and prolong the battery life dramatically, heat is the number one enemy of battery! 10. Why do you came up with Dr. Prius App? With thousands of Prius out of warranty everyday, average consumer need an easy way to access the battery information, we believe that most of the general battery information should be free to the public and customers could choose to pay for more advanced test features to inspect the battery health further. 11. What hybrid vehicles are you supporting and will be supporting? Feel free to send us request if you wish to have your Toyota hybrid supported in Dr. Prius app. Nothing can be worst waking up in the morning seeing one-start review from user claiming my App isn't working. Luckily friends and loyal users help me identify that 90% of the problem is causing by bad clone out there flooding the market, those bad clone lure users with unbelievable low price but the result never end well... at least for Dr. Prius App or other hybrid specific Apps like Hybrid Assistant. 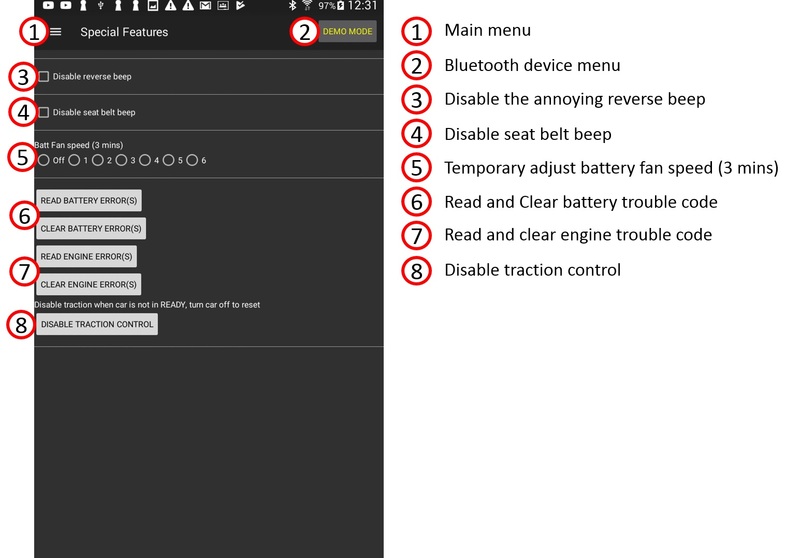 It's a misconception that whatever work for Torque App should also work for Dr. Prius, the reality is, to get to the battery specific information, the OBD2 adapter must have the ability to "set message header" to a different ECU address, while other generic Apps only targeting the main ECU to retrieve very basic vehicle information like speed, rpm, coolant temperature.. etc. And with that, I decided to buy all the cheap clone adapters and see for myself, you my friend, just sit tight and enjoy the show. PS: Most of the adapters are for Android only, iOS user please jump to the bottom of the page. 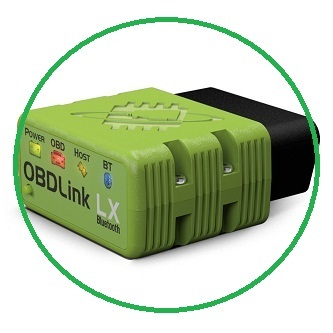 This expensive adapter claim to support bluetooth 4.0 and all OBD protocols. Yeah right! this is another junk adapter that is being packaged in a tiny and beautiful space-grey semi-transparent case, however it is far from usable and it does not have the ability to switch between ECUs, I've tried it on both iOS and Android devices with the same disappointed result. The only App that works for this adapter is called "Mini OBD II" App, it is nothing more than a proxy to the basic vehicle information. This no name Junk is sharing the same packaging as the previous Mini Junk. 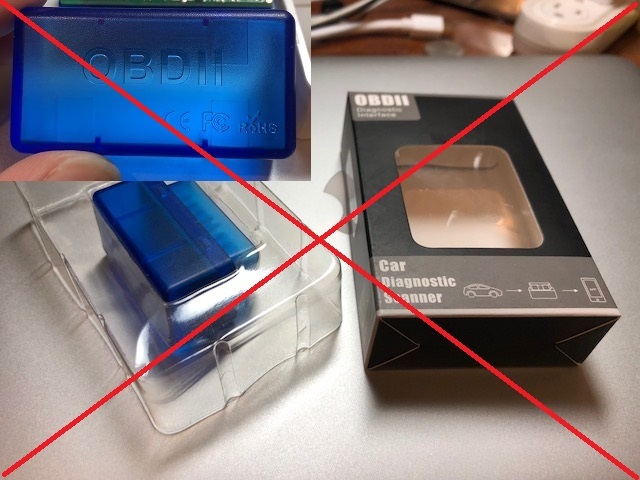 It has a nice transparent blue finished, and it "looks like" it is able to switch between ECUs, however at the end it failed to retrieve battery related information from both Prius Gen2 and Gen3. Please browse away whenever you see this packaging, I believe they are from the same company that produce defected/un-tested products. Definitely one of the worst adapter, it doesn't even support most of the basic OBD command from v1.2 all the way to v2.3, it might work with a few simple OBD app but definitely not for Dr. Prius. This adapter with On/Off switch has a tendency of losting connection, on top of that it is missing info in every response (missing number of additional bytes at the beginning of each payload), however I did able to make it to work for Dr. Prius, still, not recommend. Note: This adapter can work with Dr. Prius but missing DTC error code data, people actually give me one-star for this reason..
Update 07/11/2018 - After couple of one-star user reviews, I found that even a dual-layer PCB could be a bad clone, at this time I don't want to approve any OBD2 adatper in this form factor, it feels like someone from the China factory is watching this post and changing their strategy to counter back, not cool, not recommend and buy at your own risk! 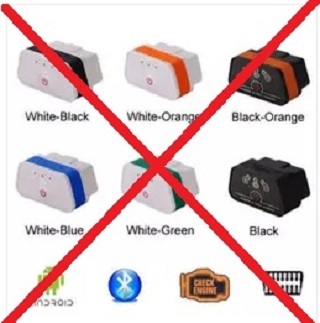 Update 06/09/2018 - thanks to our friend Alexandr from Belarus, we actually found a good clone on AliExpress that is cheap and works well (as of 6/8/2018), be sure to pick the BLUE or WHITE adapter NOT the black with MINI on it. Please be aware that this seller recently swap the black adapter with a bad clone that doesn't work at all, NOT COOL! 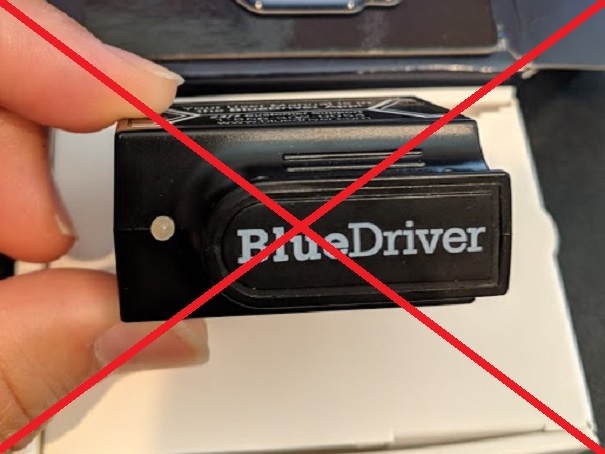 I got quite a few requests from users asking if BlueDriver can work, well.. quick answer is No after spending $100 bucks. 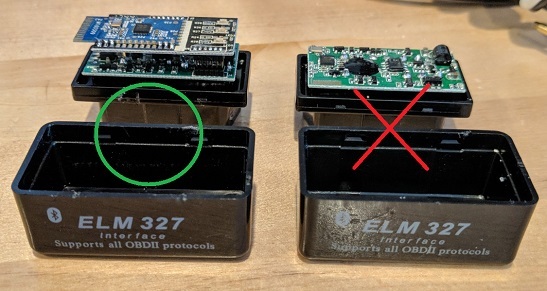 Don't get me wrong, it is an excellent adapter on it's own but the story ends there, I have even contacted their technical support and confirm that it is a close loop system that will not work with any other ELM327 software, sorry! Finally!! An adapter that you can trust! I got this PanLong OBD2 adapter from Amazon thinking I could return it anytime, and surprisingly that never happened for the past two years. This adapter is the work horse of all my developing and testing effort. Open up the case and see for yourself how beefy it is compare to any other clone mini. Update: The Amazon seller contacted me and provided the following promote code exclusive for Dr. Prius users, thanks Kathy! Affordable and reliable solution in one compcat package, I am loving it! Don from Carista sent me this OBD2 adapter to test, and I fall in love immediately with how compact this adatper is! 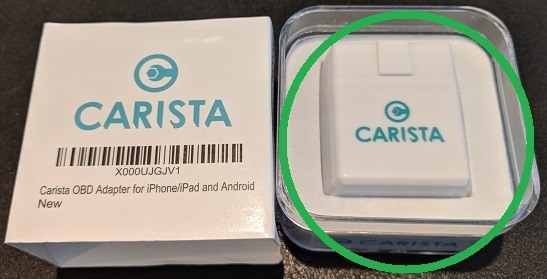 Most of the other adapters have such a big head that often jam on the Prius kick panel (you should understand if you've ever tried it), but this Carista fits right in smoothly. What also make it stands out is the price, for less than 20 bucks it is one of the best value adapter out there that support both iOS and Android ! Let's start with their Bluetooth for Android, it's basically the same as PanLong or any other beefy clone adapters selling at a great price, great deal! 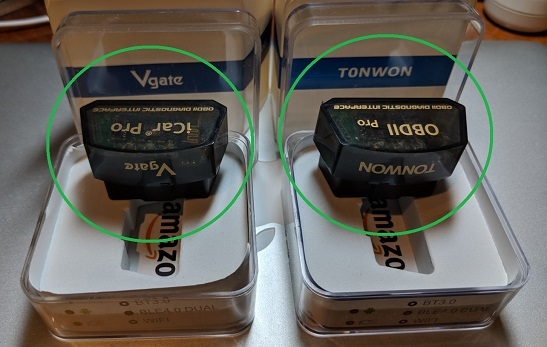 Update 02/09/2019 I have user report back saying TONWON adapter from Amazon has bad quality control, he got two bad adapters in a row, thanks Clarence for the warning! WARNING !! NOT ALL vGate are created equally, there are older version vGate(Bluetooth 3.0) or fake vGate flooded the market, please pick the one that looks exactly like the one in below picture, the side has clear writing "Bluetooth LE 4.0 E50". 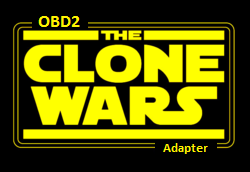 This is it for now, I am pretty sure there are still hundreds of clone adapters out there waiting to be tested, and I am sure there are hundreds of sellers having different opinions than I do. Please feel free to reach out to me at feedback@PriusApp.com, it will be my pleasure to test/re-test your adapter and share the result with the community.